"The only difference is we do it far away from our goal." Central to that philosophy is Fernandinho's ability to not just read the game and quickly regain possession, but also use the ball soundly as a springboard to City's attack. "There is always a relation. When you attack good, you defend well. When you defend well and are solid, you attack better," added Guardiola. 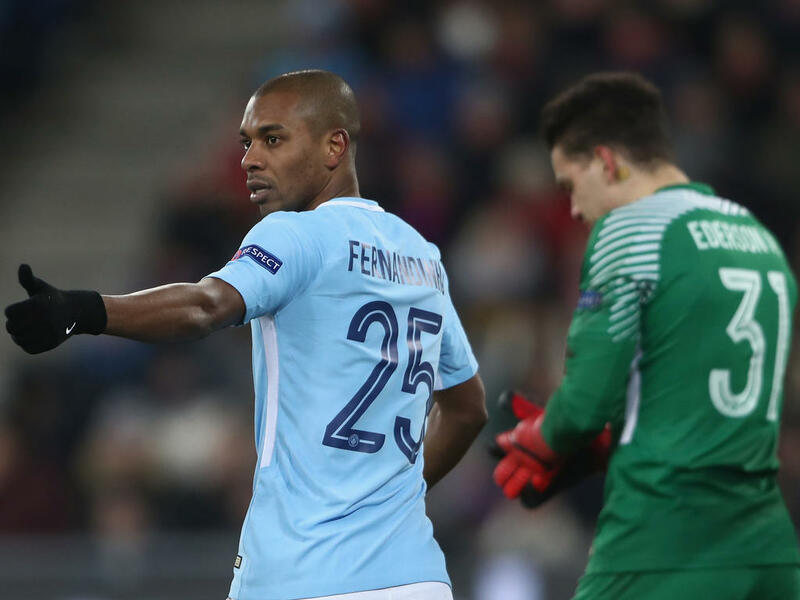 Despite turning 33 earlier this year, Fernandinho has started all of City's 14 Premier and Champions League matches this season, while the more creative talents of David Silva, Leroy Sane, Bernardo Silva and Raheem Sterling have had to live with Guardiola's rotation policy. "Ferna would make any manager the happiest or luckiest in the world," said Guardiola ahead of City's 3-0 win in the Ukraine against Shakhtar two weeks ago. "He is a joy to have as a player - he is very special. He will always be a special player for me to work alongside." Guardiola knows very well the dual demands of Fernandinho's role having won the European Cup in his days as a player in the same position for Barcelona. Fernandinho received arguably the highest praise from his manager when he claimed even Guardiola the player couldn't force his way into the current City juggernaut given his form. So far City's failure to land Jorginho, who instead choose to follow Maurizio Sarri in the move from Napoli to Chelsea in July, to share the burden as the midfield anchor hasn't proved costly. Instead, Guardiola's men show no sign of a slip in standards from their record 100-point Premier League campaign last season, as evidenced by a 6-1 annihilation of Southampton on Sunday. It is the Champions League that remains the holy grail for City's Abu Dhabi owners, though, and despite the Lyon stumble, another victory against Shakhtar will put the English champions well on course to make the last 16 for a sixth straight season.